Quick and easy meals are how I get dinner on the table for my busy family! This Chicken Tomato Pasta cooks up quickly in the microwave. 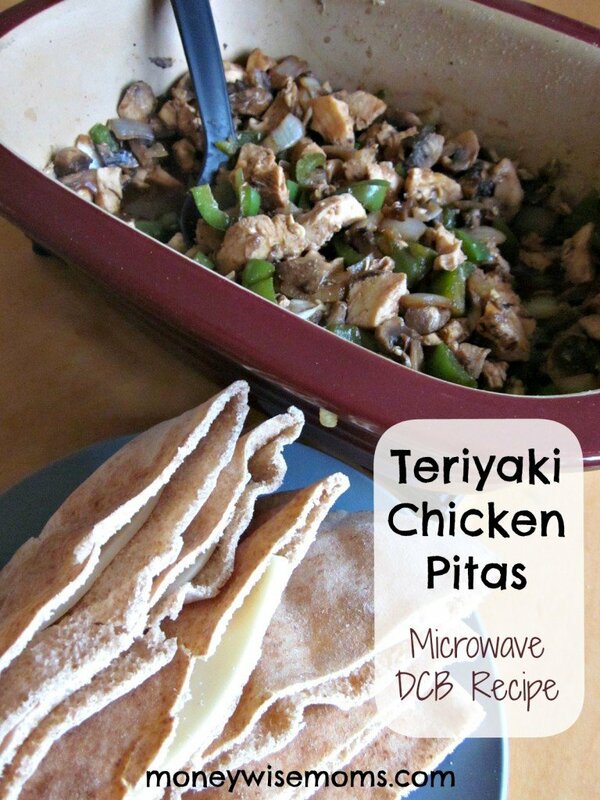 Yes, I know not everyone has a Deep Covered Baker from Pampered Chef, but those of us who do are always looking for more easy microwave recipes. I use mine all the time to make Chicken Fajitas, but another go-to meal for us is this Chicken Tomato Pasta. It’s a revision of a Pampered Chef recipe, made simpler by using pantry ingredients. I usually cook some extra chicken breasts when we have them for another meal, or I can pull some pre-cooked chicken from the freezer and have it thawed out by dinnertime. And I always have canned tomatoes and mozzarella cheese on hand, so it comes together quickly. This is such an easy recipe to pull together for busy weeknights, and it can be made gluten-free by substituting the pasta with your favorite GF brand. Just keep an eye on the cooking time–I’ve found that quinoa pasta takes less time to cook. Spray Deep Covered Baker with non-stick cooking spray. Add garlic, crushed tomatoes, broth, salt and pepper to the Baker. Stir in dry pasta. Cover baker and microwave on high for 16-18 minutes or until pasta is tender (I usually stop at 10 min and stir). When pasta is fully cooked, carefully remove Baker from microwave and add basil, cheese and chicken; mix well. 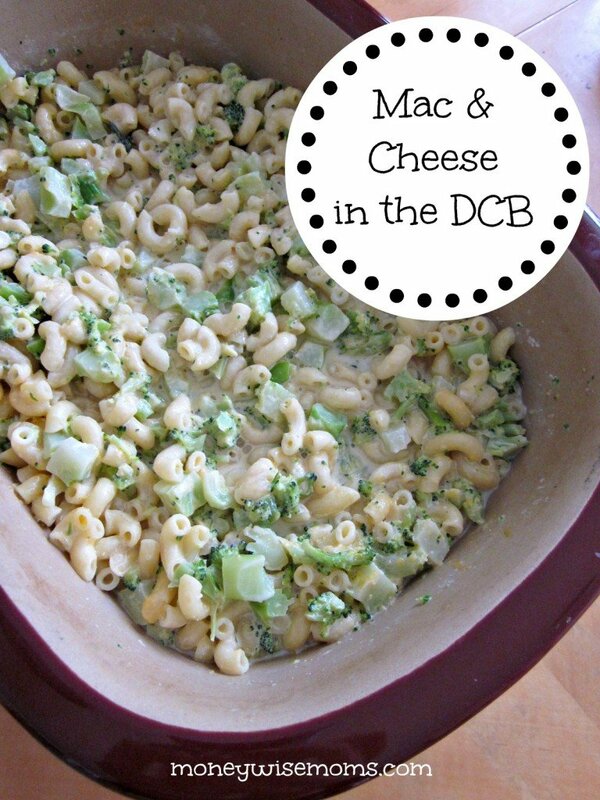 Looking for more DCB recipes? 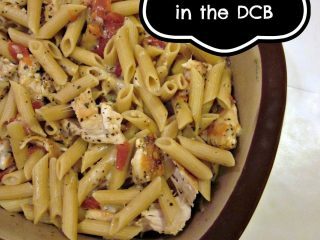 Chicken Tomato Pasta is linked up to Tip Me Tuesday at Tip Junkie, Inspire Me Wednesday at Mama Buzz, What’s Cooking Wednesday at Turning the Clock Back, Gluten-Free Recipe Linkup at Musings of a Housewife and Fluster’s Creative Muster Party at Fluster Buster. 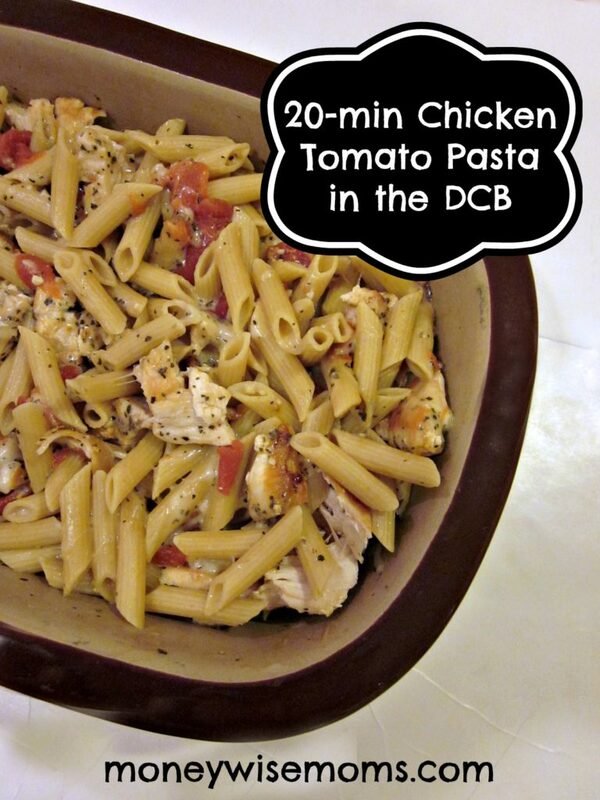 I have a DCB (didn’t know it was called that) and I definitely need some easy recipes for it like this one. So glad you shared it!! Found you via SITS!! easy and delicious sounding…my favorite type of recipe! i am always looking for fast weeknight ideas.